The American Society for Cell Biology (“ASCB”) respects the privacy of its members, customers, contacts, and partners. To protect online privacy, the ASCB has implemented the following policy. Data collected by the ASCB are used to provide better service to the ASCB’s members and other users of the ASCB’s web site. It is the ASCB’s policy to collect and store only information that users voluntarily provide. Personal data is defined in this policy and in the General Data Protection Regulation (GDPR) as any information relation to an identifiable person who can be directly or indirectly identified in particular by reference to an identifier. The ASCB is the data controller of your Personal Data, but the ASCB also acts as a data processor on behalf of members for Personal Data that is processed through the websites. The ASCB may collect certain personal data when a user visits the website. Aggregate data, such as IP addresses and the number of hits per page, may be collected. We may use information about your IP address to help diagnose problems, perform administrative tasks, analyze trends, track page usage statistics, and gather information that assists us in identifying visitor preferences. We may also use aggregate data for our business purposes such as disclosing such data to our partners and service providers, however this aggregate data does not identify you. Notwithstanding anything herein to the contrary, the ASCB may share personal data disclosed with consultants and staff for internal business purposes and as required by law if such data are subpoenaed. Our memberships, services, and meetings are designed for those over the age of 18, and are most certainly not directed to, or to our knowledge used by, children under 13 years of age. Our memberships, services, and meetings are not targeted to, intended to be consumed by, or designed to entice individuals under the age of 18 and certainly not for those under 13 years. If you know of or have any reason to believe anyone under the age of 18 and in the very remote event that you know of or have any reason to believe anyone under the age of 13 years has provided us with any personal data, please contact us. A cookie is a file that stores data on a user’s computer or returns it to the web server. The data in the file is information a user has entered using an online form, or generic information about the visiting user, such as IP address or browser type. A cookie can either be temporary or persistent, but ultimately the user is in control of if and how any cookie is stored through their web browser. The ASCB requires cookies to provide functionality on certain areas of the website; the member portal for example. If cookies are not enabled, those areas will not function as intended and the ASCB will be unable to provide the full range of services the user might be expecting. ASCB does not store any financial information in cookies. The ASCB also uses certain third party cookies for advertising purposes, to let you know about ASCB programs and services you might be interested in. These cookies are used to provide ads relevant to your interest as you travel around the web. You may set your browser to block these cookies. Several areas of the ASCB website (such as membership forms, meeting registration forms, abstract submission forms, and online voting) request users to provide various types of information: contact information (e.g., names and email addresses), financial information (like credit card information), and demographic information (like address and zip code). Each type of information serves a different purpose, depending on where it is requested. The types of personal data we collect are based on the services being requested by the user. Contact information obtained from order forms may be used to provide information about educational programs and the like. Financial information that is collected is used solely to bill the user for products and/or services ordered. Financial information will in no way be used for marketing purposes, nor will it be shared with any third parties unless the third party manages the billing for the ASCB. The ASCB uses email as a method to communicate with members and colleagues. Users may change their communication preferences and also withdraw consent to receive emails at any time. Financial information may be collected online when individuals register for meetings, submit abstracts, order publications, or make payment for membership. The online forms are secured using SSL protocols. This encrypts the entered information during the transaction in order to protect the information from unauthorized access. The SSL certs are provided by trusted and established certificate vendors. This site contains links to other sites. ASCB is not responsible for the privacy practices or the content of external websites. Websites maintained by third parties may collect information and use it in a way inconsistent with this privacy statement. We encourage our users to be aware when they leave the ASCB’s websites, and to read the privacy statements of each website they visit. Websites maintained by third parties may also refer to ASCB products, processes, or services; unless ASCB has provided explicit authority, such references in no way indicate our endorsement, recommendation, or preference. We may request information regarding various aspects of our services and programs from users through surveys. Survey participation is completely voluntary and the user has a choice whether or not to disclose any information. Information requested may include contact information and demographic information. Feedback received is used to improve our websites and programs. Personal information submitted by the user in response to surveys may be used to provide information on opportunities for participation in educational activities and leadership in ASCB, as indicated in survey forms. Unless clearly declared a “private” area, information posted to online forums, message boards, chat areas, news groups, and other interactive web pages is available for viewing (but not discussion) by the general public. Use of such interactive web pages is voluntary and information posted on these formats may be deleted at any time. 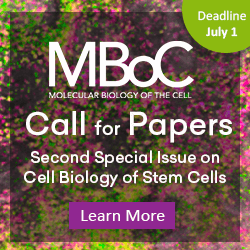 We expect communications on such pages to be respectful of others and of the ASCB’s mission. We do not typically monitor our interactive web pages; parents should use caution when allowing children to view those pages. Please remember that any information disclosed in these areas becomes public information, and exercise caution when deciding to disclose your personal information. The email addresses of users who post such may be available to anyone who browses or uses the message area. Please use caution when posting any such information. The ASCB does not control the sending or receiving of email messages as a result of postings to our websites. The ways by which ASCB obtains personal data are defined hereby. ASCB does not obtain any personal information about users unless they have voluntarily provided that information to ASCB via means including but not limited to membership forms, surveys, or other on-line or hard copy forms. Members and users may choose to submit personal information by mail, phone, e-mail, or other means as deemed appropriate at that time. The types of personal data that we collect vary based on the services offered but generally include name, address, telephone number, company name, job title, e-mail address, and other information voluntarily submitted. While on the ASCB website, information may be collected about your device and activity on the website. Some of the information collected may consist of, but is not limited to, search terms, browser information, computer or device type, operating system, website usage, referring/exit pages, date/time stamp, number of clicks, and ads viewed. On occasion, ASCB may rent its membership and meeting registration mailing lists for use by third parties to promote meetings, publications, or products of interest. These rented lists are mailing addresses only and do not include email addresses, phone numbers, or any other information collected by ASCB. Members have the option to be removed from these mailing lists by contacting the ASCB. – If we are involved in a merger, acquisition, financing due diligence, reorganization, bankruptcy, receivership, sale of company assets, or transition of service to another provider, in which case your personal data and other information may be transferred to a successor or affiliate as part of that transaction along with other assets. You may exercise your rights by contacting us as indicated under “Communication Preferences” section below. The ASCB reserves the right to change this privacy statement at any time. We will use data in accordance with the privacy statement under which any data have been collected. Questions should be sent to ascbinfo@ascb.org.